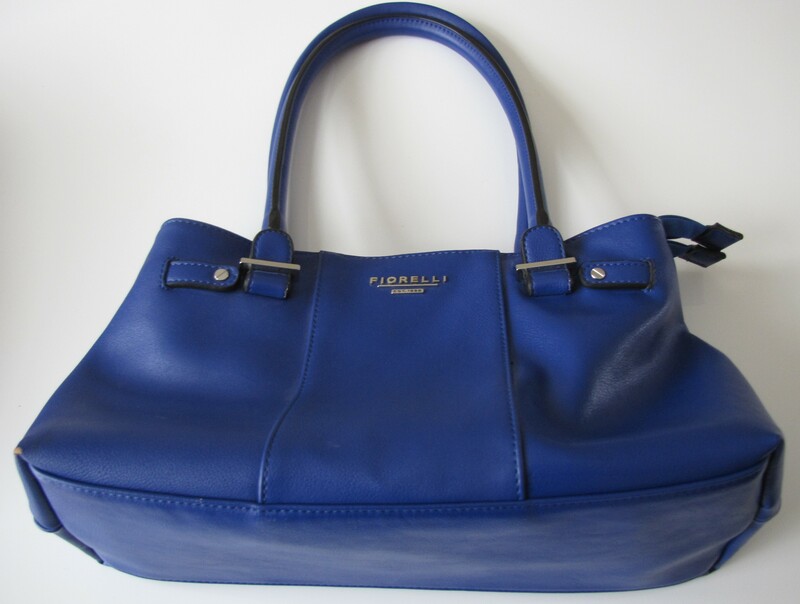 For today’s look, I took inspiration from a bright, beautiful cobalt blue bag (see below) and an aqua coloured dress I was wearing (see full face photos at the end of the post after the ‘Read More’ link). 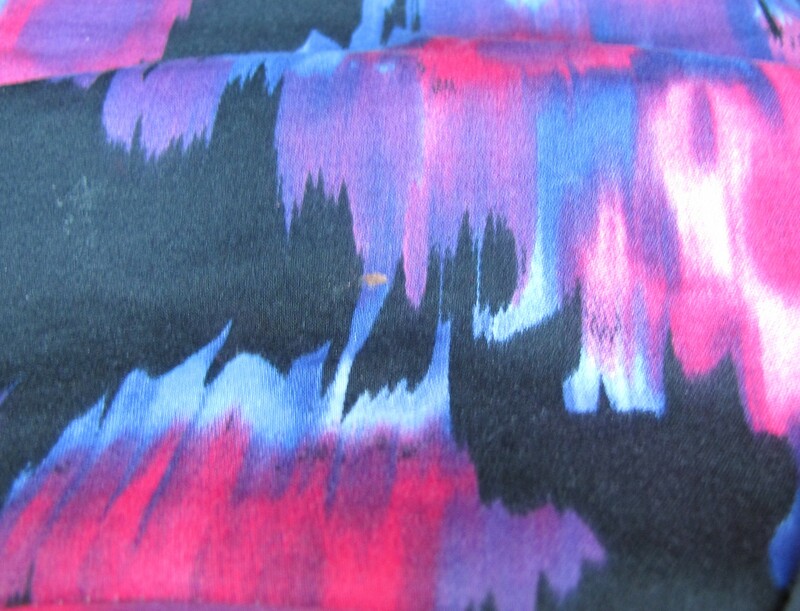 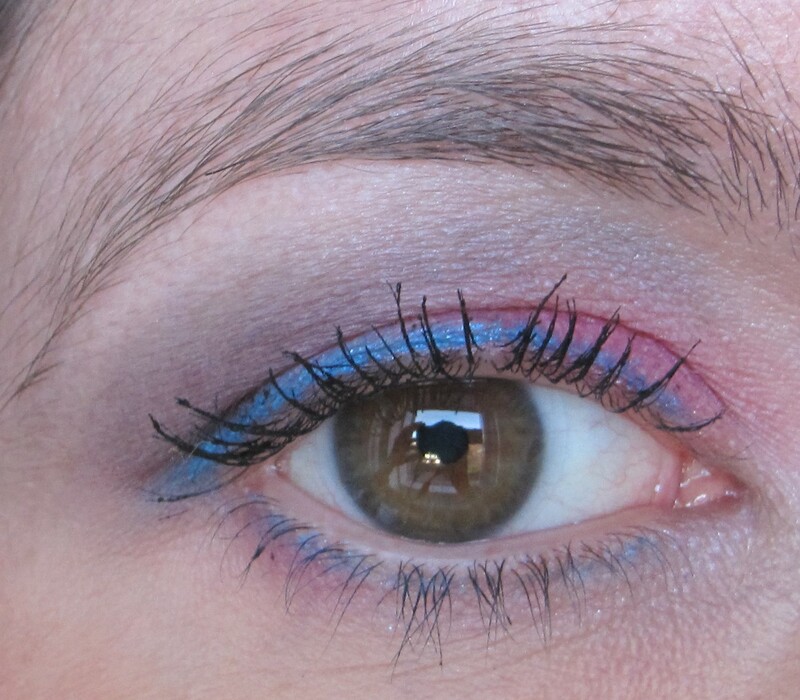 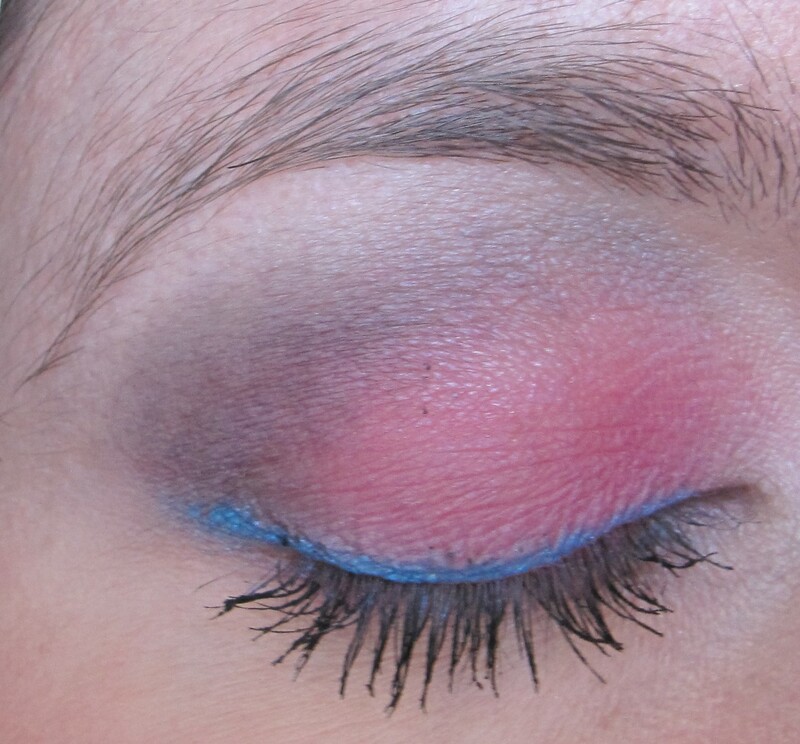 I combined aqua, cobalt blue and a ‘pop’ of magenta plum to create a punchy, colourful effect on the eyes. 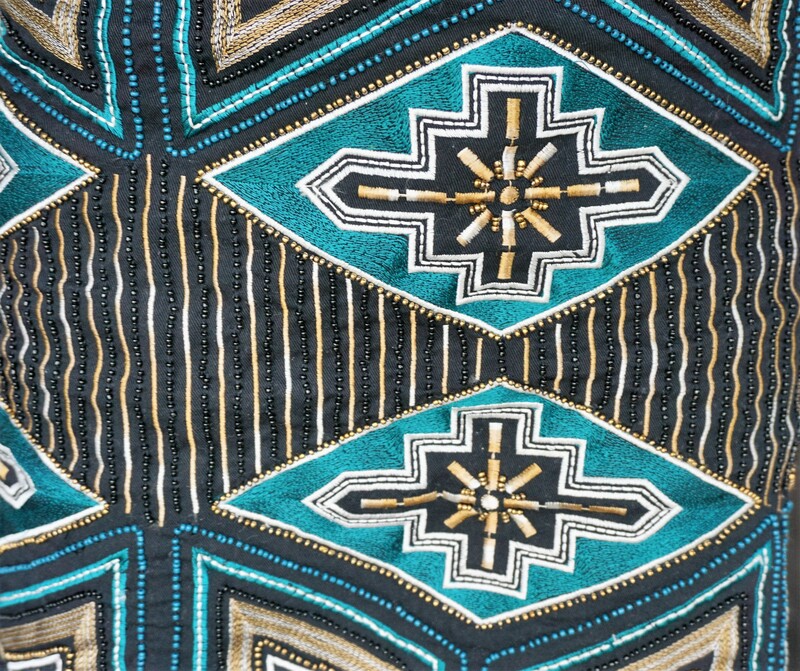 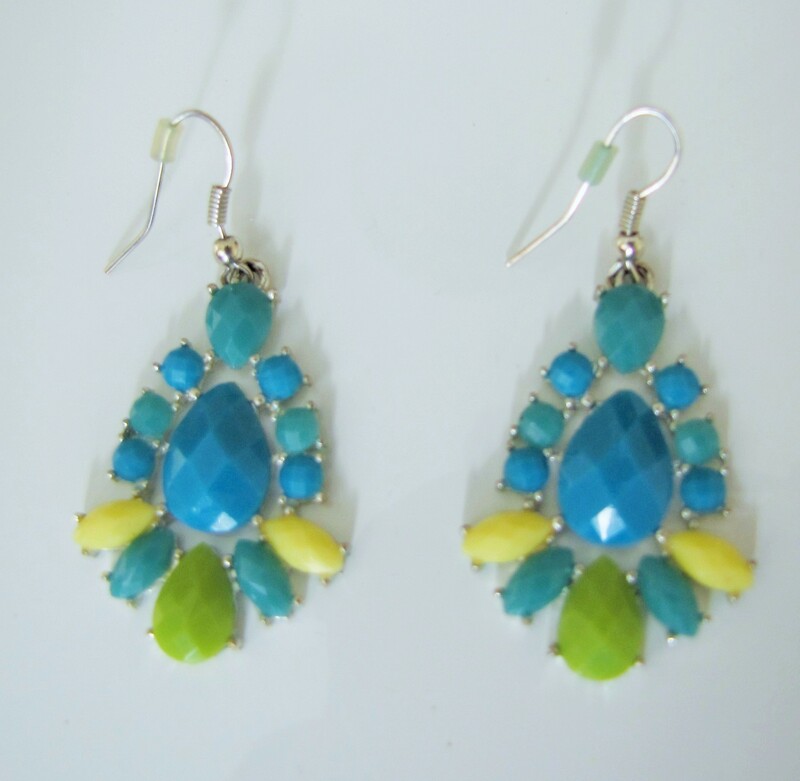 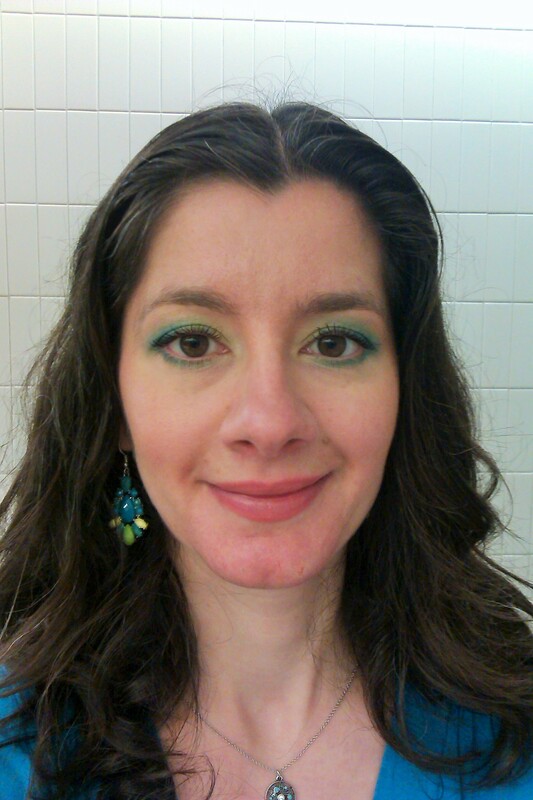 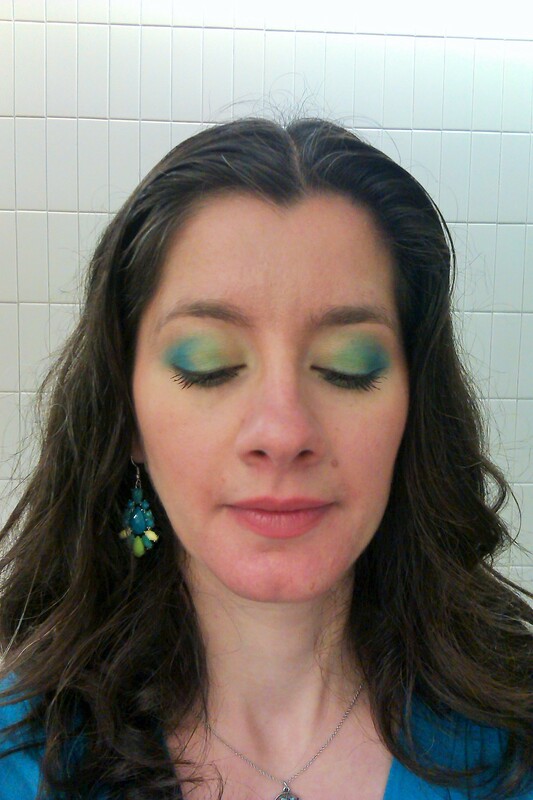 For today’s look, I took inspiration from a pair of earrings I have which are bright yellow, green and blue (see above). 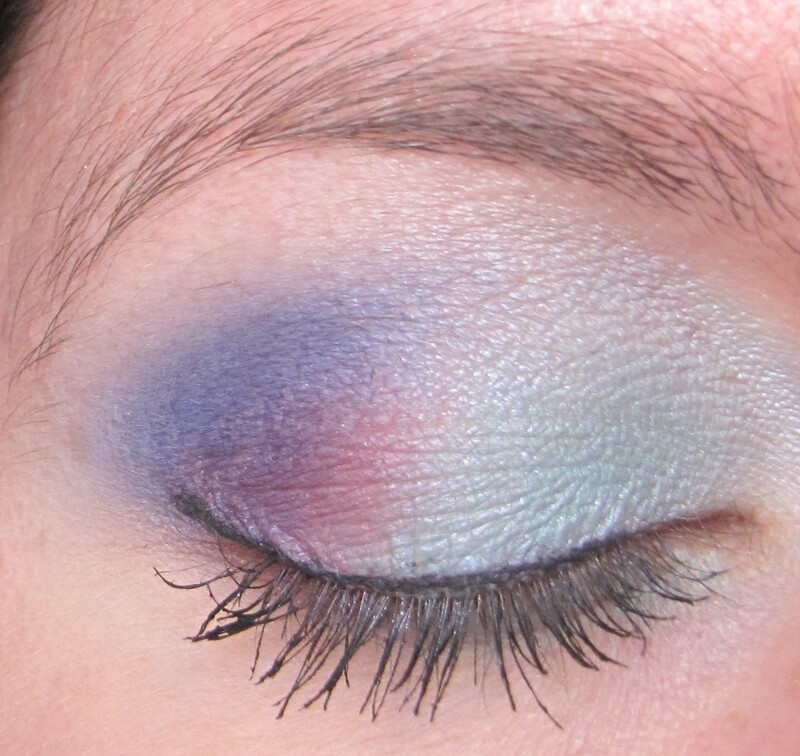 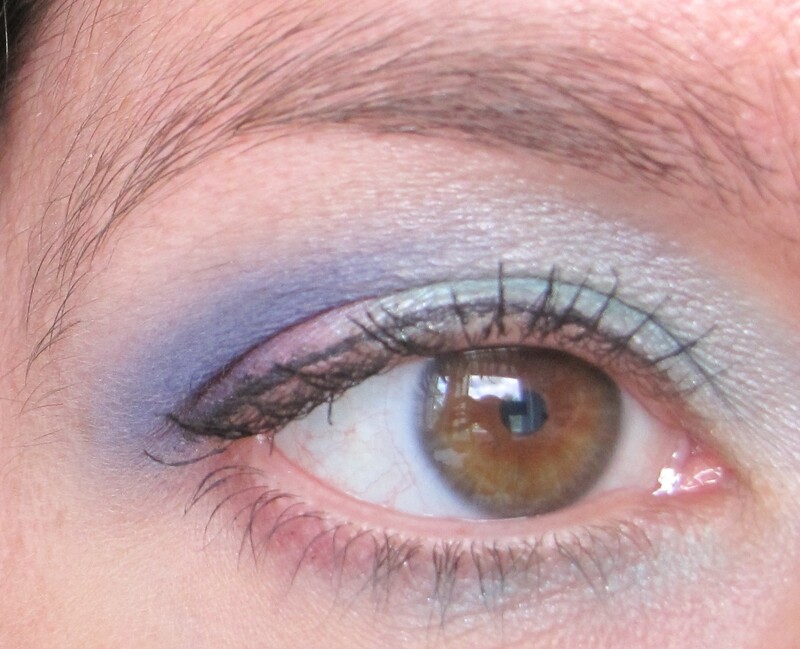 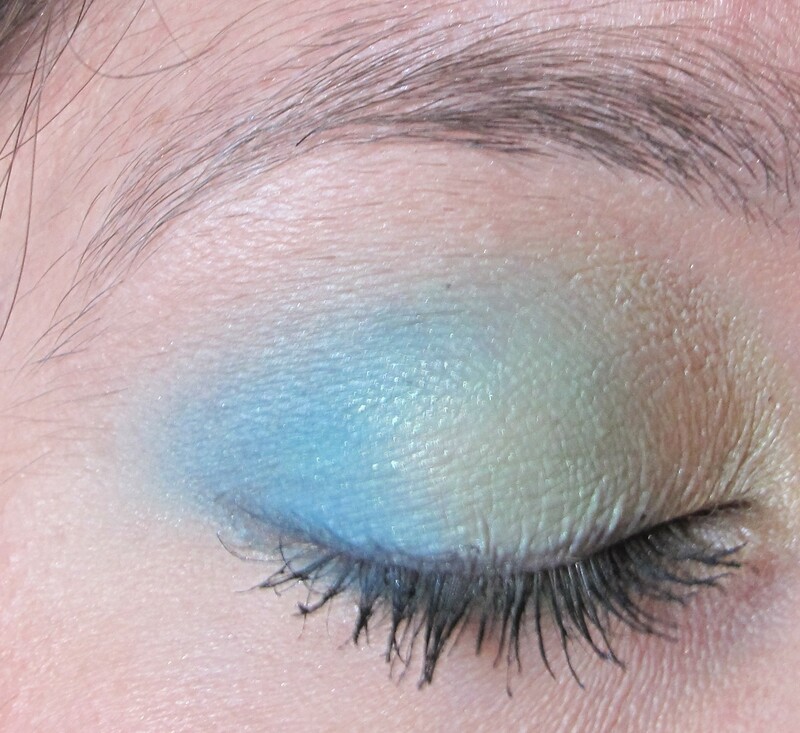 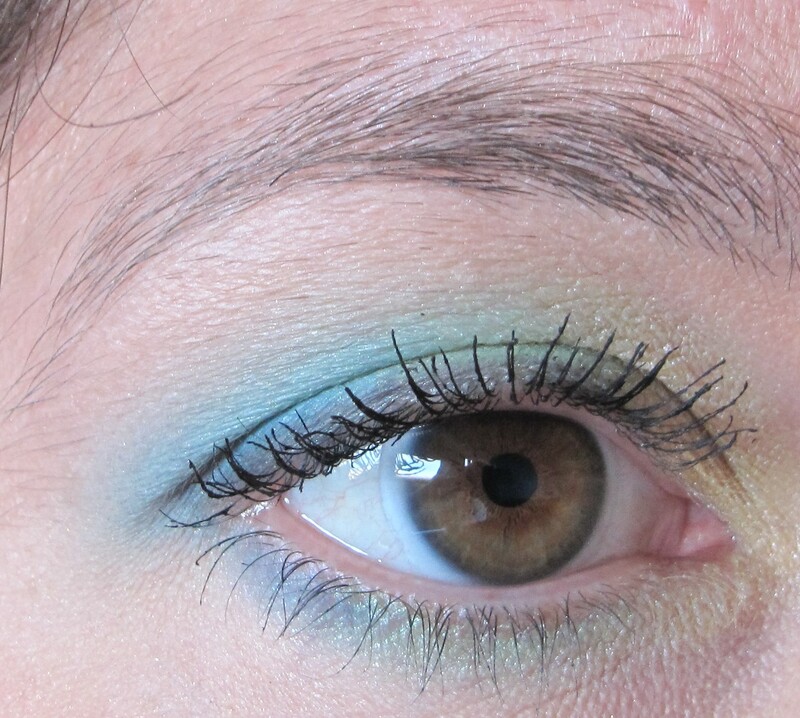 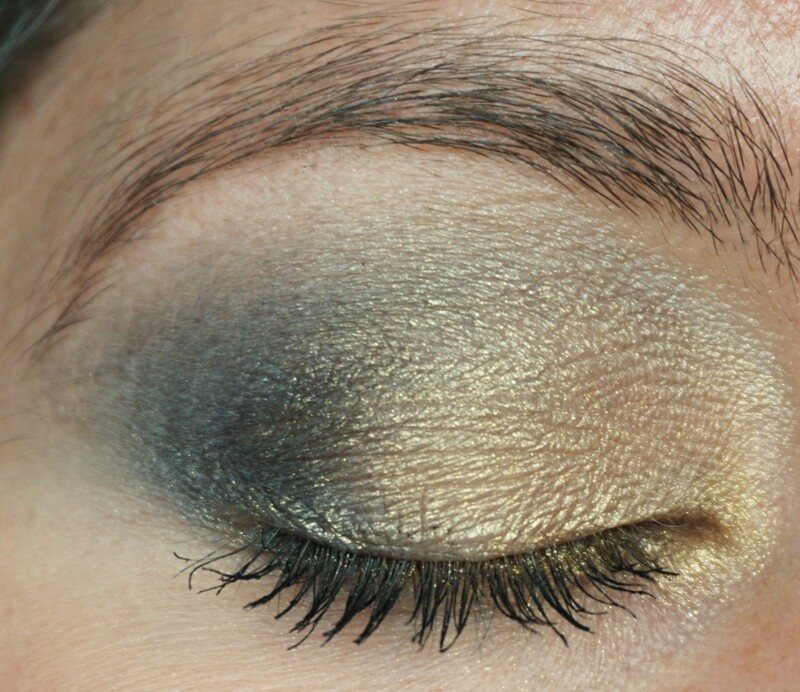 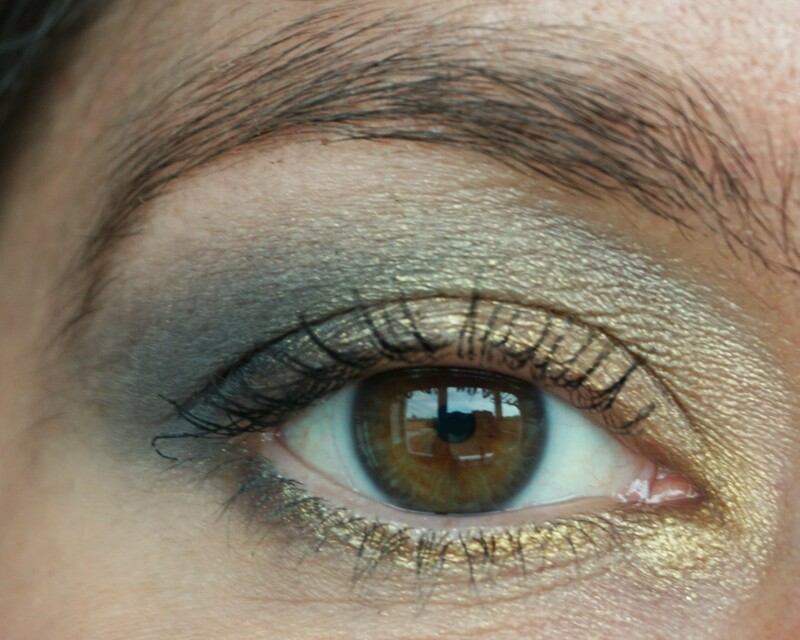 I combined pale lemon yellow, pale green and bright blue eyeshadows to create a colourful, tropical eye.